It should come as no surprise to readers of 10,000 Birds that I do not love gulls. Though we have an occasional larophile post on this blog they are rarely written by me. Indeed, when I manage to successfully identify a moderately difficult gull it is considered a reason to rejoice. But when there are beautiful birds that I am literally tripping over* I can’t avoid looking at them. 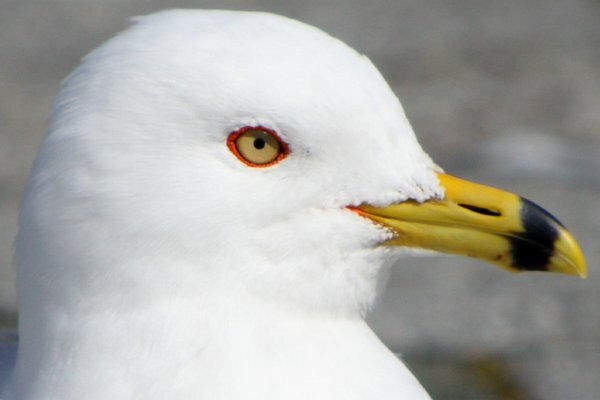 And Ring-billed Gulls, when they have shed their streaky winter plumage and have gleaming white feathers, a bright orange orbital ring and a bright orange gape, are pretty dang-dooddilly-delightful. Enjoy these few profile shots of Larus delawarensis and remember that it is only a matter of time before someone starts talking about gull taxonomy again. At that point I suggest that you remember these pretty pictures and go to your happy place. All images in this post were taken in the first week of March, 2011, in New York State. No gulls were harmed in the creation of these images, just people. *Many people show up at Flushing Meadows Corona Park and feed the gulls. 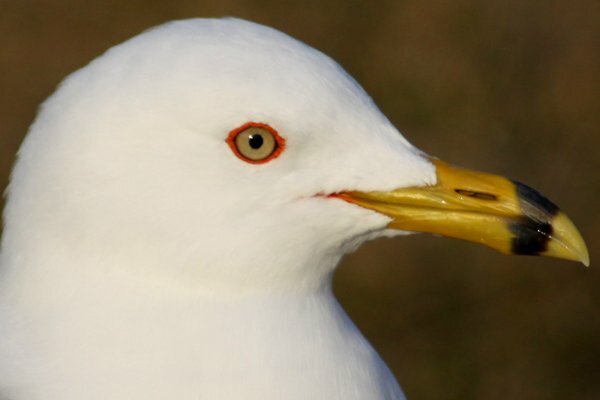 Many of the gulls now see people as food sources to approach rather than potential threats to be avoided. So when I was trying to keep my eye on some ducks out on the lake as I made my way to a more advantageous position, well, I did manage to not fall down and the gull was not harmed. Let’s leave it there, shall we? If gulls were as rare as condors people would realise how attractive they are. 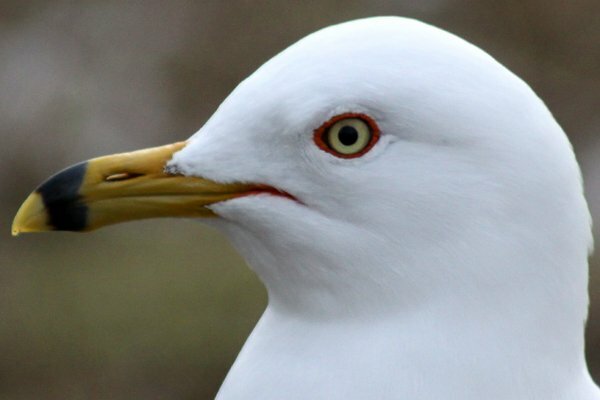 One of the first birds I actually remember noticing and being impressed by was an adult Herring Gull at the Brittany coast when I must have been 5 or 6 years old. It was its beauty that struck me as so memorable. I still have the picture in my head today, almost 35 year later. I am with you, Duncan. But I think I actually prefer them with a few faint stripes of their non-breeding plumage. Ring-billed Gulls are my favorites among the gulls, with the possible exception of Laughing Gulls. Thanks for sharing. 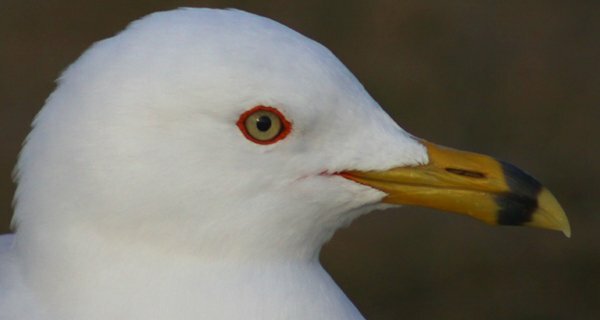 I just got into birding this winter and snapped my first shots of ring-billed gulls in breeding plumage today. I am so thrilled to have learned that their plumage changes. They really are gorgeous birds!